Several months ago I wrote a post on bullying. (Bullying is Never OK). Despite hoping it would go away, it really hasn’t. I would have to say that overall it’s compounded, spread, and generally got worse. Over the months since I wrote that first post, I have, (being prone to overthinking things), analysed the reasons for this, and although it hasn’t actually stopped the behaviour, it has helped me understand it, and get through the best I can. There have been some pretty tough times where I have needed guidance and help, and fortunately I have a great support network who have reached out or listened to me when I needed to talk about it. I am not sure how I would be travelling now if I didn’t have that. To be clear, I am not looking for sympathy; just awareness. I have endeavoured not to be too outwardly different, but I am sure the experience has possibly contributed to making me seem a little more distant, a little more reserved, and a little more wary than I would usually be. The reality I am faced with is that this situation I find myself in may never go away. Unfortunately I am not in a position at this stage to remove myself from the situation entirely without creating other ripples that I don’t want to create. And so, I must go on, and I must demonstrate that I am better, that I am stronger, and that I will never give up, or be defined by anyone else’s ideas of who I am and what I represent. If I give up my own race, I fear that others may be targeted in my stead; others who may not be strong enough, or have support enough, to fight the fight and finish their own race. Rachel Sag - April 2019. And get ready to run your own race. And continue to run your own race. And continue to strive and to show up. No matter you've set your own pace. And YOU will have won your own race. What’s been good about this year and the ups and downs that have come with it, has been the realisation that I can deal with everything, without letting those speed bumps get in my way and without letting them define how my next day / week / month / year will go. One of those speed bumps, came in mid May. I “failed” my shodan (black belt) grading. There were many factors at play, probably some of which I’m not even aware of, and I’m not at liberty to really discuss any of the factors I am aware of. Let’s just say, it wasn’t what I had planned, or expected to happen. I won’t pretend it didn’t upset me at all. After holding it together at the post grading lunch, (really afternoon tea by the time we finished at the dojo), I was a mess for a good 24 hours. But, after letting myself grieve a little, I decided (actually just knew), that all I could do was keep training. I’ll also admit that the main reasons convincing me to come to the dojo two days later, for the belt award ceremony (where I knew I’d be up front helping award most of my kohai with their belts/stripes and certificates), even though I knew it would be potentially triggering for me, were mostly about other people. Although, I’m mostly past caring about what other people think of me, and what I do, I do care a lot about the example my behaviour sets for others. So, what got me through the door two days after grading (or rather not grading in my case), was largely to do with setting a good example to my seven-year-old daughter (who also trains), and my Kohai. I wanted to send some messages. Be there for your “family”. Your best isn’t always good enough, but if you keep trying to improve, your best is going to get better still. Of course, once I’d got through the door, the reasons didn’t matter, not being awarded a new belt myself didn’t matter; I felt very happy for my Kohai, who had achieved their new rankings, and it felt great to be back training in my home dojo again. A month or so after the grading, I set off on a much anticipated journey, to meet, and train with my instructors teacher in Boston. My husband suggested (wisely), that I spend a week sightseeing in New York beforehand, since I’ve never visited. Of course, I couldn’t resist tracking down a dojo in New York too. I managed to attend to classes at Downtown Dojo, in New York City. I wore a white belt, as although our style incorporates Uechi Ryu, I am not ranked at all in Uechi Ryu. The dojo were very welcoming, and it was nice to have some company and conversation for a few hours, since I was travelling entirely alone. Of course, I also enjoyed many of the other cultural and culinary delights that New York City had to offer. I also found that I enjoyed my own company, and the freedom to do whatever I pleased whenever I wanted. The two weeks I spent in Boston after that week in New York City, were a life changing experience for me. I was accomodated and hosted by two of the warmest women I have met, (one trains and teaches at the dojo), in their lovely home, with their gorgeous fur babies, and was well looked after in and outside of the dojo, by them and by my instructor’s Sensei, and the other main instructor of the dojo. I didn’t spend much time sleeping, as there was so much to see and do (and….jet lag never really let go of me!). The days I wasn’t training (there were three perhaps), were spent enjoying the sun, sea, and fresh air, and also seeing some of the city. After hours, there were parties (including 4th July celebrations), and social occasions. Training days during the week, were spent at a summer camp, helping teach, and also joining classes, in karate, BJJ, MMA, and Kobudo (weapons), with kids aged 7 to 14. There was also time for training and talking with my instructor’s Sensei. Evenings were spent in the dojo, training karate and or BJJ, and sometimes helping to teach the kids. Saturday was spent all day in the dojo, starting with yoga, and then various karate and BJJ classes. I had never trained BJJ before, but by the end of my 20+ hour crash course (pun intended) on the mats, I had a whole new appreciation of grappling, and some good ideas to help my ground game. In between training, and chilling out with new friends, I had some wonderful, and insightful discussions with many people, both in and outside of the dojo. I’d anticipated, going there as a black belt, and had been apprehensive, that not having “got there”, before I got there, would somehow impact on what I could contribute, and what I could get out of my time there. It was made clear by my hosts, from the outset that it mattered little, and in reality, I probably got more out of it, because I could relax and train, unhindered by any perceived expectations of me. Two weeks flew by, and soon it was time to say farewell to my extended dojo family, and meet my own little family (i.e. husband and kids), in Bali, for some rest and relaxation, and a completely new culture, and pace of life. Whilst I was enjoying a cognitive and physical holiday for a couple of weeks, lots of things were happening in my own dojo. It made me homesick, which was a bit strange, but unsurprising. I wasn’t sure how to feel, but had limited communications with people from the dojo, so in actuality, I had to wait until I got home. Not long after I got back, I was tested for black belt again. This time, it was a completely different experience. For one thing, I’d just (except for two weeks in Bali), come out of a two week intensive training program. That said, I hadn’t been psyching myself up for a test, since, to be honest, I had no idea when I would test again. The test kind of “happened”. One minute I was teaching the juniors, and the next I was testing for shodan! I don’t know if anyone else (apart from my instructor), knew, but I really didn’t, and as I was used to being put on the spot, and put through my paces, it didn’t actually dawn on me what was going on, until about the third or fourth round of kumite (sparring), by which time I was beginning to get somewhat suspicious. The test I did that night, felt real, when I analysed it after the fact, as I had been made to apply (in a practical way) everything I had learned, rather than just performing various techniques “clinically”, as had been the case in my first test, (at least that was how it had felt to me at the time). After completing the test, I was presented with my shiny new belt. It felt somewhat surreal, but also perfect. It was a much more intimate affair, more personal than it might have been in May, and I was surrounded by the people who’d help me get there; my teacher and my fellow students. My US dojo family were there in spirit, and I was read messages from them also. The second half of the year went very quickly. After some initial teething difficulties as a new shodan, I let myself believe it, and stopped worrying about what anyone else thought. There were some changes in the dojo, which I was able to take into my stride, for the most part fairly quickly, and I got on with training, and teaching. I probably took on even more responsibility than before but that was ok. Part of my role was helping the next cohort of black belt candidates prepare for their grading in November. My experiences testing, on both occasions, probably helped me help them prepare for the test, and for the results. And helping them and my other kohai helped me put some of my doubts to the side. Last month I was awarded my certificate and even though it’s physically just a piece of paper, it’s way more than that to me. We finished training for the year a week ago and have another 13 sleeps until we commence for 2019. Neatly, perhaps even serendipitously, I finished the notebook I started in April 2018, (the 8th I have completed since I started keeping a karate Journal at the start of 2015). I found myself writing not only about the nuts and bolts of what I was learning, and the feedback on things I needed to work on but also about what I was going through and how I was feeling at different points. The last Thursday class (the penultimate class for the year) I got home to discover that I had managed to leave my Journal at the dojo. I felt like part of my soul was missing. I was so relieved when my Senpai was able to collect it for me that night so it wouldn’t go astray. I am not a materialistic person in the main, nor particularly sentimental but my JOURnal is my JOURney. I am looking forward to 2019. I have no idea what challenges and excitement it will bring, but I just know I am ready to ride that roller-coaster and enjoy every moment, no matter what lies over the next hill or around the next bend. May you all be blessed with the same sense of adventure! I was bullied and picked on a lot in primary and early high school, and I’m sure many of you were too. For me, it lessened a bit in later high school and university, but has made the odd appearance during my working life, and has even reared its head in extra curricular activities. When I think about it, perhaps it hasn’t really “lessened” at all. Perhaps I have just been “lessoned”. Perhaps I have just got better at recognising it, calling it out, dealing with it, and making it go away. Perhaps as I have grown up, I’ve become more resilient, more assertive, and more able to re-frame how I feel about difficult situations in general. Bullying is, unfortunately, very common. As sorry as I am to admit it, I’m certainly not the only one in my immediate family (child or adult) to have been bullied this year. All of our household, at one time or another, have felt victimised, bullied, harassed, or asked to measure up to (demonstrably!) unachievable targets of one sort or another (a form of corporate bullying if you will). What I am dealing with now is something a little different. It’s just as hurtful but it’s still a form of bullying. It’s not something I ever really expected to be subjected to at the age of almost 44. Right now, it’s a bit surreal. I feel like I have been planted as the protagonist in a “Mean Girls” movie! Unfortunately though….noone offered me the script. What can I do or say, when it comes to light that a person I had considered a friend, has (for reasons unknown), started spreading malicious rumours about me, in what appears to be a concerted effort to tarnish my reputation? I can’t control what messages people take away from things I say or do. I can’t control what people say to me, no more than what they choose to say about me behind my back. I can’t control the impact of these rumors (lies) on my reputation or the reputation of others who associate with me. 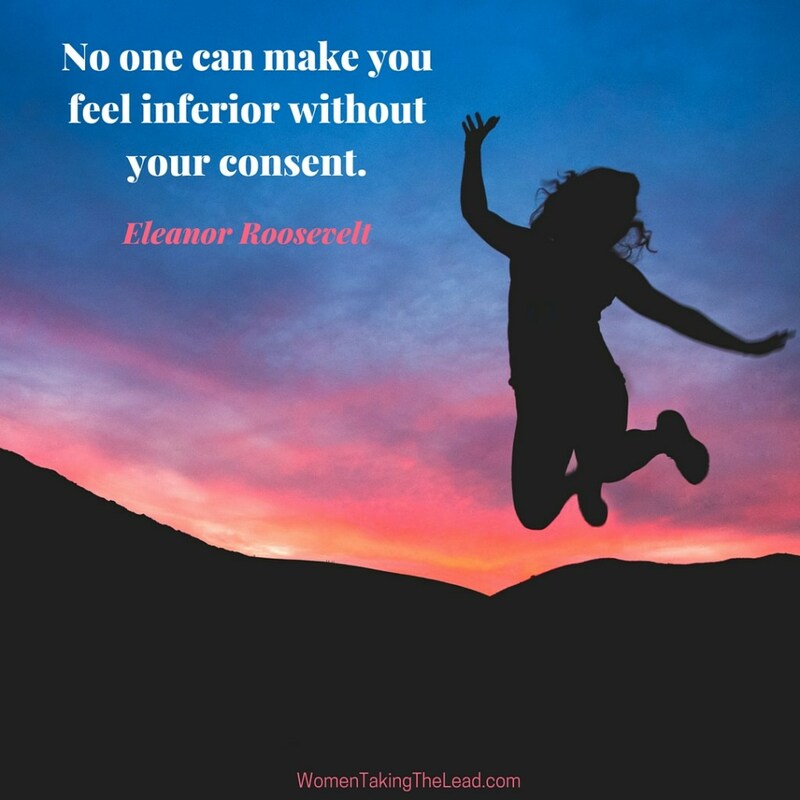 I can control who I confide in and I can listen to my gut and judge from what I see as to how confident I feel in a person’s ability to keep confidences. I can control how I REACT. Most importantly though, I can control my own boundaries and disengage from people who appear not to have my best interests at heart. I am a reasonably assertive adult, but there are situations where it’s best to say nothing and just disengage and avoid any further ugliness in which you will be implicated in fact and not merely in fabrication and speculation. I know the truth. I know the people who know me and love me know it too, and won’t believe any of these lies. So when and if I need to cross paths with the person who is targeting me, I will not let them project their negativity or hurt or jealousy (or whatever is motivating this childish behaviour) on to me; I will go in with shoulders back, head held high and do what I need to do. I am writing this post about the impacts of bullying for a number of reasons. The main 2 are these. Firstly, tonight marks the start of a new year for me and is a chance to start afresh, forgive those who have wronged me and ask forgiveness for those who I have wronged, intentionally or inadvertently, recently or in the dim and distant past. Perhaps it was a sign that I was made aware of this situation just before this event in our calendar. Perhaps the person who is currently bullying me feels wronged by me in this situation, I apologise if this is the case. I certainly forgive them. It doesn’t mean I will forget. It does mean that I will ask the universe to grant them the gift of growing up and getting wiser and using their powers for good and not evil. Secondly, it’s Are you OK day this Thursday and I wanted to take the opportunity to raise awareness of bullying and the impacts it has on people. Bullying is never OK. And if you are feeling not OK about anything, be it bullying or not, please reach out to someone you trust, or an independent counselling service, so you can hopefully start to feel more OK.
And yes, I’m OK. Fortunately for me I have a great support network and a determination not to let anyone rain on my parade! When you’ve practiced then practiced some more. Don’t despair or be worried when you take a hit. When you’ve made sacrifices, dedicated your self. And you hope it will mean you don’t drown. When you lead, people follow along. There are friends in your corner and they’re just going to sit…. Until you begin again and don’t quit. Hi there! Kampai! It has been a while between drinks. My apologies if you’ve missed me. I’ve been doing a lot of thinking, and I have started a lot of blog posts which I have not finished, or finished but not published. I’m not sure what this shift towards internalising things is about, or what I am afraid of exactly. Perhaps it’s a case of once bitten twice shy, (Getting blogged down). There are a lot of things that I would like to comment on, but by doing so may compromise the anonymity of some parties, and so I stay silent. It occurred to me the other day that I have been on my karate journey for four years last Friday. It passed without much ado. That’s okay. On the night before though, I attended a rather interesting seminar on Zen in the martial arts. (You can purchase it here: (Using Martial Arts Zen & Strategy in Life & Career Success) One of the things that was discussed was the famous ox herding pictures ( See basic information here ) shown above. I often reflect on my own journey and how it relates to the journey of the boy and the ox. I’m not sure if I have followed the exact path in the “correct” order, but I’m sure I will pass through all the stages eventually, one way or another, to arrive back where I started. I know I have reflected on this concept before (going round in circles), but I felt now might be a time to reflect on again, given that it isn’t long now until I officially start my journey. This may sound like a confusing scenario, given that I have just said I started my journey four years ago, but realistically I’ve just been packing my bags to get ready to leave. Hopefully in a couple of months it will really begin. Given how much is going on in my head at the moment, I’ve decided again, that it’s probably best to limit myself to verse as a means of communicating my thoughts. I feel it is somewhat legitimate given that the original ox herding pictures have accompanying poetry. However, if you are not a fan of my poetry feel free to stop reading now. I knew not it was a journey, if I’m honest with myself. Though quite why it was familiar, was a mystery on the shelf. I felt welcome, yet a stranger. And so I blindly fought, just to fit in. That “something” I had “found” would soon begin. I just had to go in search of greener grasses. But my head hurt from the differences in classes. Though I took my time to get to know it well. How quickly I’d progress I could not tell. And all my flaws were laid bare on the floor. I bowed in, and just left them at the door. That snuck up on me from behind along the way. To the person who I will become one day. 300gm marinated tofu, Quorn, Tempeh, or other protein of choice, cut in thin strips and fried lightly. Grow a ton of zucchini (or optionally buy some). Don’t see your zucchini-loving friends for a few weeks. (You know who you are). Be in need of a quiet meal, and have a desire for small people to eat a lot of salad. In a large bowl soak individual cold roll wrappers in hot water until they are rehydrated. Place rehydrated wrapper on a plastic chopping board. If using Nori place in the centre of the wrapper. Arrange filling as desired, taking care not to over stuff. Roll in the same fashion you would roll a burrito or similar. Place on a tray or plate under a damp tea towel or plastic wrap if you wish to use this. Continue until filling is used up. Serve immediately (not as good next day but OK), with desired dipping sauce and enjoy a whine free family dinner. (You’re welcome). Grow a heap of zucchini. Using a spiralizer Julienne peeler, Julienne the carrot and zucchini. Cut the cucumber in cubes. Throwing everything (including other optional extras if desired), in a large bowl, and toss to combine (Hands work well at this point). PS. I was intending to take a picture of this salad, but most of it had gone by the time I remembered. Yes it’s very nice. Some of the wonderful souls I trained with last week. Training in other dojo(s) has the potential to make you feel like a fish out of water. You are the visitor, the other, with your different uniform and your different style. You try not to stand out, but that is easier said than done. There are so many ways to skin a dead cat that people may look at you sideways if you start skinning a dead cat your way when they skin it a different way, so as unsuccessful as it can be, you try to skin it their way and fit in. Skinning your dead cats the way they skin their cats can be a double edged sword (I guess a double edged sword might skin 2 cats at once!!!) On the one hand they may look at you in a freak moment when you actually do it they way they want you to, and say…..”Wow! she can skin a dead cat the “right” way!” (subtext “our way”)…..or, when you are not skinning it their way, despite having a red hot go they might say “You’re skinning it all “wrong”! I bet your instructor didn’t show you to skin it that way!” (which then makes you question which memo you missed when on the whole skinning cats thing!!). Don’t ask me why a staunch vegan like myself is talking about skinning cats. I know nothing about skinning cats!! What I do know, or at least what I am starting to realise now, is that whilst cross training gets easier, the more you know about your own style, it also gets harder. When I started cross training as a white / yellow belt, I didn’t know cross training was a thing, I didn’t even know karate styles were a thing…..I mean a dogi is a dogi right?……And noone looks particularly stylish in one: it’s not the point!! When you are still learning a down block, the subtleties of how far out from your body a block ends, how straight your elbow is, where the block starts, etc, just aren’t on your radar. When you start to feel more confident with the basics within your style though, and someone questions it or tries to change it, even just subtly, it can make you question not only if you are doing it right (specific to your own style), but also why you don’t do it the same way as they do. When I spent a week intensely cross training, last week, I was essentially cross training in one style, mostly in one dojo (but also attending 2 others of the same style). Even across dojo(s) though, I noticed subtle differences in techniques / style, teaching methods, preferences and priorities. It was absolutely fascinating! With the exception of my own kata (which are style specific), I tried to follow along as best I could where ever I was. I even followed along with some of the basic kata they were practicing, which gave me even more to think about in terms of the common ancestry of our styles…..(gives more meaning when we affectionately refer to each other as “sister” dojo or our “cousins”). When I trained on my own in between times, I endeavoured to resort back to my own style. That said, I did experiment to a degree with incorporating principles and relevant information and feedback, into my own practice. I took both an eat in AND take away approach. It’s no wonder I came back feeling overfed!! A week on almost and I am still trying to digest it all! Just off the plane back home!!! *’Going Troppo’ is an exclusively Australian slang term for ‘going crazy’. The popular understanding about it’s origin is that it comes from stories of the tropical heat in the northern parts of Australia driving people crazy. This afternoon I returned from Queensland having spent a very intensive 10 days focusing on karate. For the last couple of weeks, my life has been a case of: eat, sleep, train, repeat. Sometimes there has definitely been more of the training, than the eating, or sleeping, but mostly it’s been relatively even. Hard work; it was. Brain stretching; it was. Although there hasn’t been much blood, there has been plenty of sweat…..OMG……that humidity in the tropics is not something someone from a drier climate like me ever really gets used to, but even with sweat streaming into my eyes, there were no tears. Despite the weather, there was no “going troppo”, even when I was led astray to the occasional post-training glass of Japanese or home-brew cider!!! During my time away, so many Sensei tachi and Senpai tachi, (my own Kyoshi included), have given of their time, freely, and willingly, to watch me, and guide me, to give me feedback, and just to talk karate with me and answer questions. Statistics-wise, if I total the “in dojo” and/or “with Sensei” hours (ie not including individual practice or informal training / discussion with others) in the last 11 days, I come up with 32 or thereabouts. That’s way more than I would normally train in about a month. During the last 11 days, I’ve trained in five different dojo, on a beach, in the ocean, predawn camp on the grass, accompanied by birdsong. I’ve also trained with 10 different Sensei tachi (instructors), many different Senpai, and probably over 100 Karate-ka from 11 different dojo in Queensland, SA, and USA. Everyone has their own teaching style. Some very direct, some tactile, some reflective, but all effective in different ways. It could have been a confusing, and overwhelming, or even downright demoralising experience. I am happy to report that it was anything but that. I was expecting to come home a bit battered and bruised if not on the outside, on the inside, but instead, I feel affirmed of my journey, with renewed resolve and enthusiasm. Apart from giving me a whole lot of ideas about how to improve my own practice, the many instructors have also given me ideas about teaching others. All the people I had the pleasure of training with, are passionate about their art. I know that I am too, and a lot of people can see that in me, but it hasn’t always been easy to convince everyone that a late, (and relatively new) starter like me, is worthy of the kind of respect, and personal attention, I have been afforded. Five or six months ago, when I started planning this trip, I was somewhat concerned that it was “too early” in my journey, to even ask for the opportunity to attend classes at the Queensland dojo (s), too much of an imposition on my husband and kids, and even too much of an inconvenience on my kohai here, who are preparing for grading (ie I should be around to help them). I was so distracted by what everyone else’s needs were, and what everyone else would make of a request from a first kyu brown belt, with less than four years training under that belt, asking for an experience beyond what even she thought she could be given, let alone handle. I’m not the first in our dojo, (nor hopefully will I be the last), to visit our sister dojo(s) in Queensland, or to get feedback from Queensland dojo heads, but my Senpai who went last year, was up there for a shorter time, while staying with family, and was in the throes of preparing for his shodan test not long after he returned. I was in Queensland for a whole week after camp, expecting to rent accommodations and a car in order to be able to live out what I wanted to do with the week. Instead I was welcomed into the homes of 2 members of my karate family and transported by various others. To all of the people who helped me arrange my trip, those who welcomed me into their dojo (s), who patiently taught me, encouraged me. and showed me knew things, to those who transported me, who adopted me into their families (and not just their dojo families), and showered me with love, and support, when I was away from my own family and my own dojo family, you not only made my stay possible but, also extremely enjoyable and highly productive. To all of you, (you know who you are), I am truly grateful. Gender equality: Same, same, but different. At my last grading – photo credit Brett J.
I have been thinking about writing this for a while and waiting for an appropriate juncture to publish it. I wrote about gender equality a few times (including here and here) but this post is from a different perspective, and was sparked by a few things in my life both in and outside the dojo. My husband asked today how my blog was going, and I had to admit that it had been somewhat neglected for various reasons. Then a facebook memory came up reminding me that I started my blog 2.5 years ago…..so in honour of this 2.5 year anniversary, I shall stop procrastinating and share my thoughts. Just in case anyone missed the memo: Yes, I was born a girl. I “grew up” (in a purely physiological sense, if nothing else) into a woman. If we extrapolate a little, in terms of my karate, I’m experiencing somewhat of a second childhood, so loosely, yes, I am a girl in the dojo (training place). I’m not here to complain about being born with, and growing up with two X chromosomes; it is what it is, and I’ve never, and will never experience the alternative. As much as at times in my life, the grass has seemed greener, or at least easier to chew, I’m content enough to graze in my designated paddock. Sometimes though, it’s hard to believe we have arrived, (nearly 20 years ago at that), in the 21st-century. Even in first world countries, where things have improved significantly, and moved toward equality (in things that can and in my humble opinion should be equalised), we still have a higher percentage of men in Parliament, and in leadership roles, and earning higher wages, for doing the same work, women performing a higher percentage of unpaid home and childcare duties, (whether they work or not), and women being objectified and sexualised to sell things. Women are way more likely to be self-conscious about their bodies, and yet are continuously subjected to media images which attempt to dictate how they should look and dress, and even think. The list goes on but I think I’ve made my point. Although there were traditional martial arts designed for women, karate certainly was not one of them. Women in dojo are a relatively recent addition. Those pioneering women in the art, (in the 70s and 80s), evidently often had a rough time of it. So those that stuck it out, and are still training now, are likely to be tough as nails. It’s different now, in many ways. Firstly, women are very welcome in the dojo, or at least in my limited experience, and, be this and exception or not, I have the pleasure of training in a hombu dojo (home / original training place within a style) that (including our male instructor), has an even number of males and females in the adult classes, and similar in the kids classes. We train the same things. We train together. We train hard. Whilst I acknowledge the benefits of grappling with similar weight and size partners, conditioning with partners of similar bone structure and conditioning as me, and I know that there are advantages and limitations associated with the body I have at my disposal, which may make some things easier or harder for me, I still occasionally and reminded that to be a karate-ka (karate practitioner) and be a woman, are two things that didn’t always go together. Being a karate-ka, brings on a certain set of challenges, both mental and physical. Being a woman also brings on a certain set of challenges, both mental and physical. Because I am both, and because I am me, I can only speak from personal experience to this point. I’ve been a karate-ka (at least in name), for about three and half years. I started as a baby, accelerated through toddlerhood care of some excellent parenting (my instructors probably would call teaching), and have probably now graduated into my childhood / pre teen wonder years. I’ve been a woman for close to 43 years. I started as a baby, took a few years to get toddlerhood, and emerged as a child, where I mucked around for about 30+ years, gradually metamorphosising from adolescent to woman, to wife, to mother, collecting hats and responsibilities as I traveled through life. At the point where these two circles of my life intersected, I was 39. I was comfortable being me, and being a woman, to the stage where I finally let myself be half way feminine, something which I had resisted for some time. I was working. I was a singer, composer, musician, with regular performance commitments, and I was in the throes of parenting a school starter and a preschooler. I had a billion other commitments besides. In short, I had so many excuses not to train, it’s surprising in many ways that it got off the ground for me at all. I had a good reason for starting training, (my son), though no particular reason to keep it up beyond trying it out. Fortunately, it sparked something inside of me that I couldn’t deny. And, so I did train, and the training kept the passion burning, and the passion kept me training. My one reason (which I couldn’t name until I had been training for probably 6 or more months), overrode all those excuses. However, let’s look at what could have happened, had I taken the approach I could have taken, and gone with the excuses and not the passion. Where would I be now? I would likely be pretty much where I was then, which would be okay, but not fantastic. I would have missed out on a lot of growing up. I would have missed out on so many learning experiences, including learning about myself, and learning to respect and appreciate myself. What has this got to do with other women in karate, (and more importantly, women not in karate)? Well, firstly, with the women in karate who stay there, and particularly the mums, they are often there despite the odds being stacked against them. They are the ones, swimming against the current. They are the ones trying even harder perhaps, than their male counterparts, to prove a point, even if that point is only to be proven to themselves. Even if the odds in the dojo are more in our favour now than they were a few decades ago, the odds of society are still largely imbalanced against women, and there’s a lot of life, that happens outside the dojo. It’s very difficult (thought not always impossible) to make men understand this. I get that. I don’t know what it’s like to be a man either. Empathy can only extend so far. I am rather fortunate to train with men and boys who on the whole treat me like any other karate-ka, with respect. It doesn’t stop me trying my hardest, and possibly at times inspires me to try even harder. The important thing is that it doesn’t stop me from being me and being comfortable to be me. Generally, my instructor treats all of us in the same way, and has the same expectations of us, so being a woman in the dojo, is rarely brought up something out of the ordinary or special. To be honest that’s just the way I like it. On the flipside, even though I love and respect all my training buddies and instructors, regardless of the chromosomes they were dealt, it is great to have developed close bonds with other women in the art, and it is important we encourage and support each other. At the end of the day though, I don’t want to be the best woman karate-ka in our dojo, or the first woman karate-ka in our style to be awarded a Senpai (trainee instructor) title, or a shodan (black belt); I am only interested in being the best Karate-ka I can possibly be, and the best person I can possibly be. The rest really is a non issue to me. So, next time you tell me (or even think about telling me), or my daughter, (or anyone else, male or female, for that matter), to “stop punching like a girl”, think about what you actually mean, and then, think about what it says about you, and furthermore what it says about society, and what it says about how you want society to look like.